The majority of the groups mentioned here are those Acknowledged by the UN, namely: Industry and Business, Children and Youth, Farmers, Indigenous Peoples, Local Governments, NGOs, Scientific and Technological Community, Women, Workers and Trade Unions, as well as the new group established for the preparation of this document, “Traditional Peoples and communities, ethnic, racial and cultural groups. 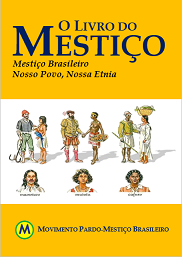 In Amazonas, the Law No 3.044/2006 institutes the “Dia do Mestiço”, recognizing it as an ethnic-racial group in its specific form and other issues. This event was supported by the vice president of Guyana, NGO representative “Chico Mendez Institute”, and the minister of environment of Brazil. They stressed the importance of cooperation in the Amazon vicinity to truly preserve the Amazon and more effective and concrete commitment toward targets and goals. The letter includes 24 principles and 456 proposals that have been agreed by all stakeholders including sustainability, land reform, environmental regulation, and so far. The Rio+20 convention is looking forward to seeing positive outcomes of the document and the future steps for change. The posted videos and texts signed by the authors and the news from other sites linked are the sole responsibility of the latter do not represent in whole or in part placements of Mestizo Nation. Posted in Mês do Mestiço.